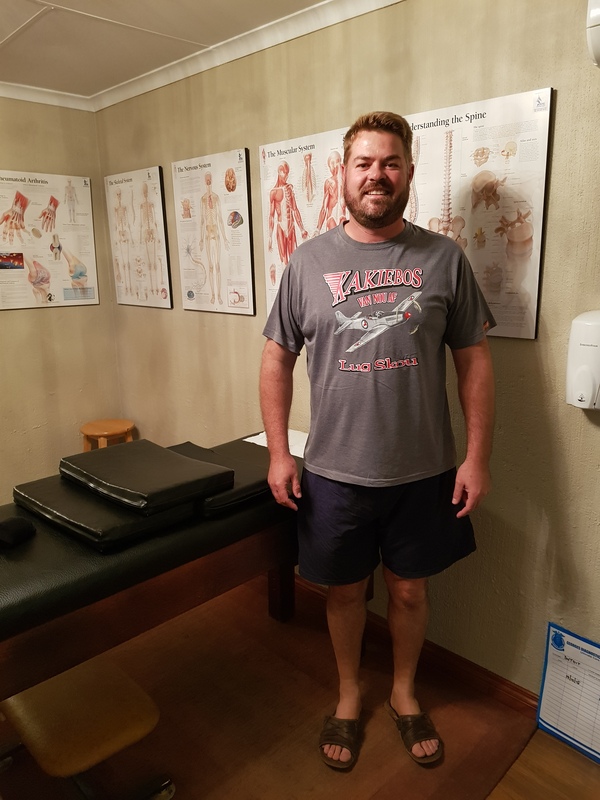 I am a 43-year-old Male who has been suffering from Back, Neck and Leg Pains as well as Back Spasms since my early twenties due to various Rugby Injuries. I have exhausted all the traditional treatment methods all without successful relief of my pain. Gym training made a huge difference in my general discomfort levels and brought about relieve to the spasms but the pain never really subsided or disappeared. I eventually decided to opt for surgical intervention and had a discectomy performed by Dr Ettienne Coetzee on my lower back @ L5 S1. My pain and spasms disappeared and soon I felt like a new person but I was warned that some of the pain and discomfort would return until my general mobility and flexibility was restored. A couple of months after surgery and Physio I thought that I had made the mistake of my life because I started experiencing similar symptoms as before my surgery. I remember that I used to go for regular stretching with Stretching SA when I used to Mountain Bike and decided to setup a consultation with Ryno van den Berg of Stretching SA. Ryno assessed my Post-Op situation and was very positive (to my disbelief) that he would be able to change the current problems in my lower back, hips and legs which were the origins of my pain and discomfort. At first it felt like my body was being ripped apart at the joints but I slowly started experiencing relieve from the pain and my general mobility and flexibility started improving as well. I have yet to reach the optimum level of a pain free life but we are well on our way in achieving this, however, I cannot translate in words, the relief of pain and spasms I have experienced since starting treatment with Ryno at Stretching SA. I can only thank Ryno for the effort and work he has done and continue to do for me. I highly recommend his treatment to anyone who has suffered from similar prolonged pain and spasms. Conventional Treatment has only treated the symptoms of my pain and within 48 hours of receiving treatment, my pain used to return, whereas with Stretching SA, I am relieved of pain for good. We are now focusing on achieving optimum flexibility and movement and once this has been achieved I will only need to visit Ryno on a when and if required basis. I can play with my Girls again and my general health has improved as well as my outlook on life because of the fact that I am not in constant pain anymore.